As president and CEO of Walmart International, Judith is all too aware of what it takes to lead a business in challenging times. 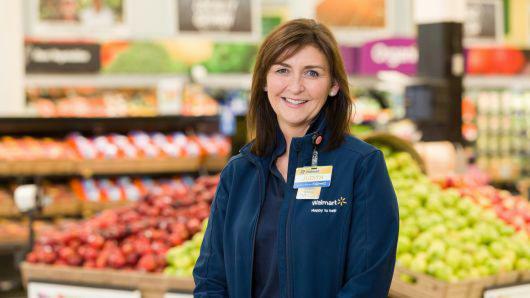 In this exclusive opening keynote, Judith will share insight on Walmart’s role in the ever- changing landscape of global retail, drawing upon her experience of serving more than 100 million customers around the world every week. Aged 20, Anne-Marie was one of the youngest ever to be awarded a Master’s degree in Mathematics & Computer Science by the University of Oxford. In 2017, she was included in the BBC’s list of 100 inspirational and innovative women. In this session, Anne-Marie will explore what we really mean by ‘transformation’ and how as leaders, you can continue to put digital evolution at the heart of your organisation. In a world where change has never been faster, how can traditional household brands with legacy and heritage remain relevant for their customers and drive future-thinking in their sector? When it comes to changing technologies, and customer and patient demands, the beauty industry has undergone immense transition. As Boots looks towards the future, Seb will draw learnings from the reinvention of beauty at Boots, and how this will influence the world of healthcare and pharmacy. Assessing both historic and new entrants, OC&C will use this session to discuss the role of the marketplace in terms of both brand and host. They will also explore the implications for the wider retail market and how retailers can achieve tangible ROI in this space. Forget the old models and put aside the history of retail to-date. If you were starting a new consumer-facing business today, what would the perfect model be? What are investors looking for? What would your organisation look like, and what would your people strategy be? Oksana Stowe, Early Stage Investor - True. Just when we need the maximum amount of investment in our retail places, the least amount is available; shopping centres are now being advertised for sale for a pound. How can all stakeholders in our retail places collaborate better to foster an environment to attract the much-needed billions of pounds of investment? With Apple and Google mobile wallets, Polo Ralph Lauren have been able to create a new marketing channel to increase in-store visits and redemption rates, whilst growing loyalty to inspire repurchase. Join us for a session filled with tangible mobile marketing insights; including the strategies, learnings, and best practices when launching this new ground-breaking technology. Delivering the omnichannel fulfillment experience is non-negotiable – delivering it profitably is the difference between surviving and thriving. How can you simultaneously optimise and orchestrate all inventory and order types with the best combination of workforce, automation and robotics, all while putting the customer centre stage? In this session, we’ll explore how to do just that. 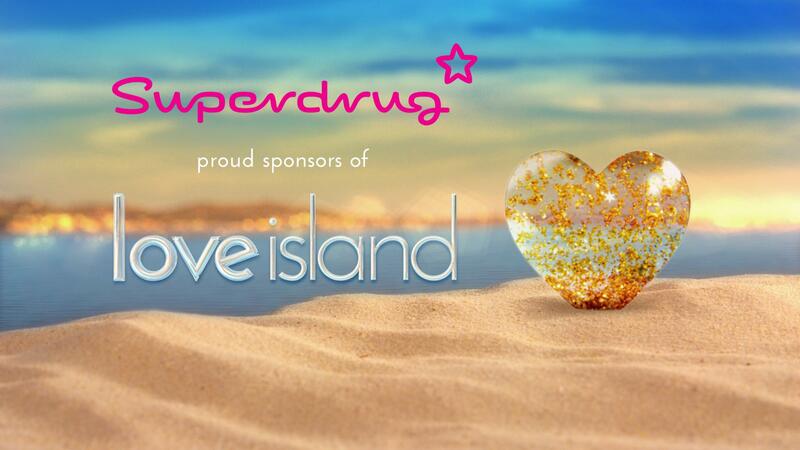 Panel: "I came here for love"
Dani and Jack weren’t the only winners of Love Island – our panellists were too. The varied and brilliant strategic partnerships they built both skyrocketed sales and ratcheted consumer engagement. Join us as they share insight into these creative collaborations, the strategies behind them and the value they brought. People are the most expensive resource for most businesses, and with margins shrinking, many are thinking hard about restructuring to become leaner. Energetic and passionate people are core to the survival of your business. What more can we do to ensure they are supported in the workplace to help deliver the change the business requires to both survive and thrive? Digital channels have created unprecedented opportunities for brands to engage with their customers. With direct-to-consumer offerings providing a personal, familiar experience, and a new gen of shoppers with ever changing expectations, the marketing rulebook is being rewritten. What does this mean for your future strategy, and what tools do you need to develop strong and loyal engagement? Retailers. Restaurants. Hotels. Cinemas. We’re all asking the same question – how can we use the data and insight we collect about our consumers online to improve their experiences when they visit us in store? How can we create a synergy between these touchpoints? All this talk of the Amazon threat, why aren’t we focussing on the positives of British retail? How can Amazon’s dominance drive us to steer new strategies and innovations? Simply put, what can we do that they can’t? In this session, Graham will share insight into Disney’s evolving strategy, using the recent launch of shopDisney as a live example of how they continue to grow with their customers. Within this, Graham will look at expansion of offer for consumer, personalisation and merging offline and online as just a few examples of how they’re staying true to their brand and diversifying. Once synonymous with bricks and mortar stores, IKEA now offers customers in 50+ countries inspiring new digital retail experiences with a broad range of buying and fulfilment options. In this session, we’ll uncover some key takeaways from their transformation journey, including the new capabilities they implemented across online commerce, digital order management and warehouse management, and how these transformed last-mile delivery and in-home services. The Retail industry is in the midst of massive transformation, the likes of which we have not seen before. We live in an age where companies can no longer innovate in silos. To thrive, retailers need to see and act from the perspectives of their consumers, and harness all aspects of their technology. Join us to explore how Google Cloud can help you embrace technology, become more agile and create a single customer view to deliver value for your customers and your business. Lunch hosted by Grace Bowden, Retail Week and Nick Martin, Head of Retail, Travel, CPG and Manufacturing at Google Cloud. Hosted by Salesforce, Valitor and Retail Week. Digital transformation is defining modern retail, as businesses jostle to position themselves for future growth in an increasingly digital economy. But what should retailers be doing to ensure they remain relevant and competitive? How does technology feed into this and where should retailers be investing? This workshop will focus on how retailers can reengineer their businesses to appeal to a new generation of consumers. - How to manage change and bring everyone in your business with you. What does the head office or store worker of the future look like? What skills will they need? How will they be recruited, and what will you need to do to retain and reward them? In this session, we’ll discuss how changing mindsets and new business models are altering future workforce strategies, and how leaders can prepare. 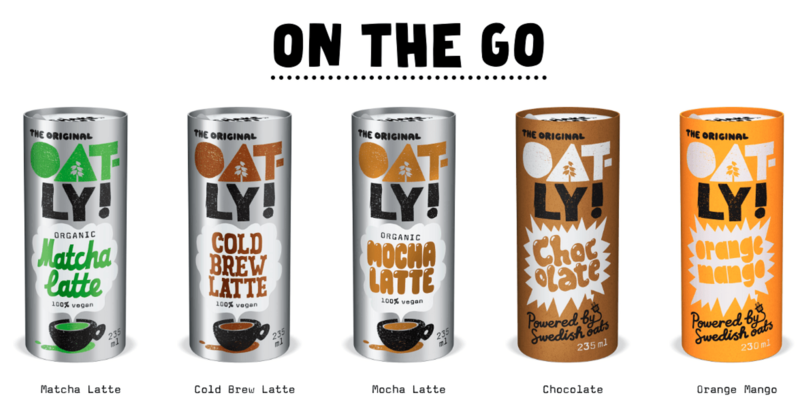 Whilst fans say it’s the only alternative that behaves just like milk, Oatly say they don’t even sell oat milk and no, they’re not a food company. Instead, they are a purpose driven, sustainable lifestyle brand based on Swedish science. This unique philosophy is at the core of the company and integral to their growing legion of fans. In this session, we’ll hear from the CEO about the company’s uniqueness and why their innovative voice continues to resonate so well with consumers. In 2018, Waitrose unveiled some of the biggest changes to its business in decades, including a rebrand. In this session, Rob Collins will share insight into how he’s positioning Waitrose for success in a shifting retail landscape. All businesses need to grow and evolve, but how can you get the balance right between planning for the next 12-18 months, and the next five-ten years? How, as a CMO, CEO, CFO, CIO, can you ensure this balance protects and supports staff, whilst delivering transformational change and growing the business? As digital marketing becomes more complex, it’s imperative we’re up to speed with the values, opportunities and challenges of the various channels available. This session will provide the knowledge to enable you to maximise these channels to increase consumer engagement, boost traffic and build brand awareness. What can retailers learn from other sectors on applying AI, Machine Leaning and Deep Learning to improve customer experience, drive efficiency and improve profit? Join this session as we hear from a panel of leaders from retail and beyond, to find out why they have invested in the technology and the results they’ve seen. Panel: Can you put the customer in control of their purchase experience? Imagine a world where the customer can choose their promotions and rewards, where they can transact in app, scan and go, order ahead, purchase and pick up anywhere. How can retailers put the customer in control of their purchasing experience and empower staff to directly influence sales by increased engagement, whether they are in or out of the store? In this session, three very different brands will explore how they deliver beautifully crafted, connected commerce experiences by allowing the customer to do just that. In an era of shop closures and high-street gloom, it’s refreshing see a retailer thriving, and that’s certainly the case with Greggs, as they close in on their 2,000th store. Once synonymous with sausages rolls and pastries, Greggs continue to diversify their product range, reflecting their acute understanding of their evolving customer base. 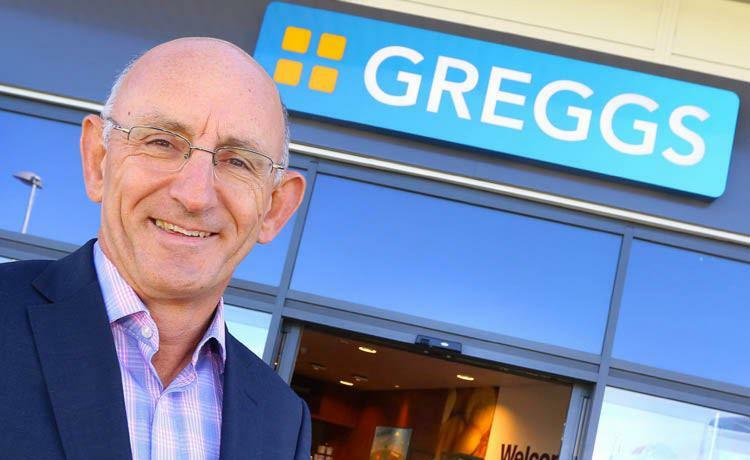 In this session, Greggs CEO Roger Whiteside will share insight into their transformation journey, and the strategy that’s keeping the wheels turning. Kim was the youngest and first female Director of Marks & Spencer Plc, Chief Executive of Pringle of Scotland, CEO of Aquascutum, not to mention advisor to Natalie Massenet at Net-a-Porter. In this session, Kim will draw from her own varied career and share insight on how the industry can better support aspiring young business women to help them achieve their goal. When instant gratification is only a click away, how do you balance the modern shopper's need for convenience with amazing brand experiences? What are the top considerations for meeting customer needs in a “want now” society, and what learnings can we take from other industries? Our panel of trailblazers will uncover how to combine intelligent marketing, commerce, and service so that feel-good customer relationships come standard with every interaction. Amitabh Apte, Global Director - Digital Foundations Integration - Mars Inc.
Henry Marsh is a leading British neurosurgeon who speaks candidly about success and failure, and what it feels like to slice through the matter that creates thought, dreams and memories. He is known for his brutal honesty; he never shirks the difficult questions be they moral, philosophical, ethical or emotional. This is your opportunity to get to know the man behind the surgeon’s knife, so please come armed with lots of questions! This session is for pre-registered delegates only. Please contact us for more details. Automation of human job functions isn’t the future, it’s happening right now, and has been happening for some time. What job functions are already being replaced by machines, and what tools are they being replaced with? How is this changing operating models, and how are organisations managing the transition? When surviving in a harsh retail environment, collaborative partnerships can provide some shelter from the headwinds. It’s something we’re seeing more and more of, so what is it that makes them successful? Meet the millennials reinventing the way we shop. These bright young things are the future of retail - if you don’t already know them, you should. 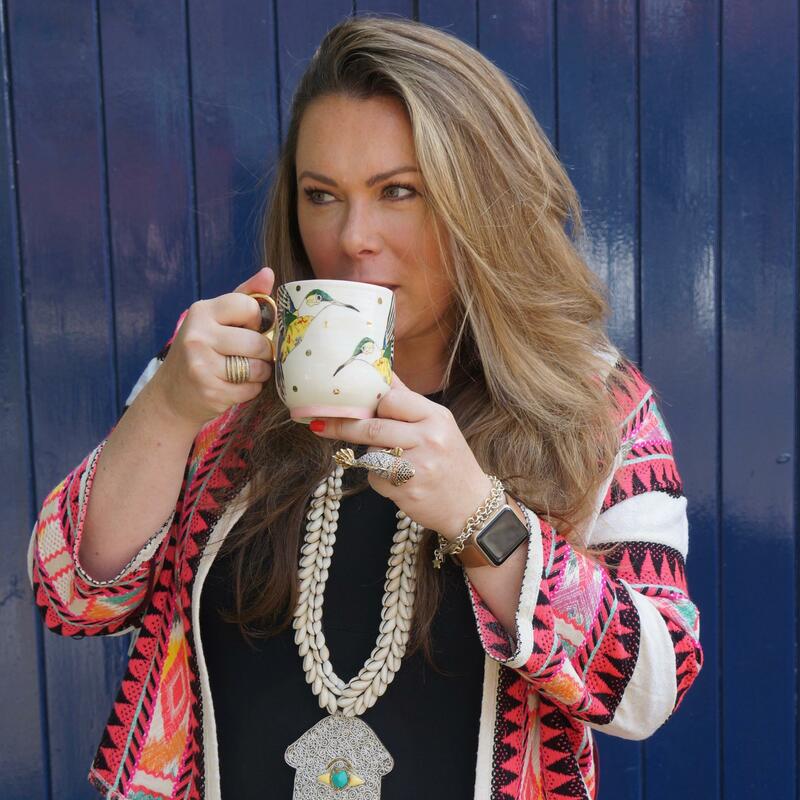 Serial entrepreneur and legendary businessperson, Holly Tucker MBE, is joined by Chief Commercial and Marketing Officer, Ella d’Amato from notonthehighstreet to share insight into how they have grown a kitchen-table business into a multimillion-pound company. The talk will explore the realities for small businesses in this challenging climate, the need for the wider industry to support SMEs, as well as the role of marketplaces as the sector evolves. Join us for live music, drinks and networking. Life is busy, full and at times frantic – nowhere more so than in the world of Retail! So, before you embark on a fulfilling, jam-packed day, we invite you to take a few moments to get centred with yourself in the company of each other. Coach Laura Beckingham, from Space With-In will lead us through a gentle guided exercise that will leave you feeling calmer, clearer, more connected and ready for the day ahead. Morning keynote: What are we for? Despite everything that the outside world is throwing at the sector today, this can be an exciting time to be a big multichannel retailer. In his first keynote speech since joining Dixons Carphone as CEO a year ago, Alex will argue that retailers need to be crystal clear about who they serve and what they’re for. What can they offer that their customer values, and that plays to their strengths? He’ll set out how some are answering these questions. In the workplace, managers manage, and leaders lead people. It’s helpful if we understand how people work, not just physically, but psychologically. We prize physical flexibility but why don’t we value psychological flexibility, and what is it anyway? A culture of psychological flexibility inspires an adaptive, resilient and productive team. This talk will offer a brief practical introduction to psychological flexibility and offer guidance on how we can work toward it. A healthy mind makes for a confident and productive human being. We are living in a time of ever increasing, ever-evolving customer expectations. Customers don’t compare you to your competitor - they compare you to the best experience they’ve had. How can retailers and industry disruptors not only keep pace with this change, but thrive and break free from traditional confines? Join Zendesk and Starling Bank as they explore how you can be the company your customers want you to be. Re-commerce – is this the new retail growth area? The largest global seller on Amazon and eBay has grown a £125m-turnover company on a new wave of C2B2C reselling, shifting over 2 million pre-loved items monthly. How have they turned the traditional retail model on its head? Customers are demanding, strapped for cash and more environmentally conscious than ever, but musicMagpie seems to have cracked the code. How? In this session, we will shine a spotlight on some of the causes being supported amongst the retail community, and the contribution they’re having to society. Whether it be a social or environmental campaign, these issues are driving real business change and inspiring others to follow their lead. What’s not to shout about? Employers are well aware of the increase in mental health problems and the impact that mental ill health can have on the bottom line. It is also important to recognise that not all people who are struggling have a mental health problem; they may be responding to a difficult life event and in some cases, their behaviour can be misconstrued as a mental health condition. This practical workshop will help you to spot the early warning signs that someone needs help. You’ll learn how to signpost effectively to professional support and how to protect yourself from becoming overly involved in their issues. You will also get the opportunity to learn about the latest wellbeing developments within retail. Lastly, you will get first-sight of the brand new mywellbeing site, which will enable your colleagues to create their very own personalised online wellbeing toolkit. Digital transformation requires new skillsets and mindsets, meaning the battle for digital talent is only going to intensify. Where are these skills going to come from? When we find the next generation of talent, what can we do to retain them? The increasing complexity of new channels requires increased visibility. How can you cut through the noise? Which channels are delivering the biggest bang for your buck right now? Are they digital, or offline? Who’s getting it right? Being smart about how to collaborate and partner is the secret recipe for bringing real innovations to market, and therefore future profitable growth. In this session, we’ll discuss how to shift the mindset away from a traditional vendor-buyer relationship, looking at why retailers need to embrace partnerships to ensure their survival, and how they benefit the customer. Three of the UK’s most senior business leaders will share their thoughts on the key issues facing retail boards today. We will explore how consumer behaviour and the political and economic landscape is affecting the sector, as well as the chair’s views on the future of retail. Considering this, the panel will discuss how the skills and qualities required in boards are evolving, and the role of diversity in promoting long-term success for the retail sector. Today’s shopper moves fluidly between brands and channels, and their journey is always evolving. As we re-evaluate the role of the store, how can we better determine what experience is going to be most valuable for our customers, and why? How can we get a better understanding into their mindset to help us create both frictionless and experiential customer journeys? Data volumes have reached mind-boggling levels, and with businesses operating with fragmented systems, it can often feel like an uphill struggle to utilise it all. This panel will discuss the necessary steps you need to take to ensure your businesses’ data is managed effectively. We’ll explore not only the tools required, but the talent and culture needed to support effective data management. 80% of consumers say that experience is as crucial as goods or services. If companies are not meeting consumers' high expectations, they can easily switch to find one that will. In this session, Ethan Arpi will explore the future of mobile shopping and how to connect consumers to their favourite businesses in an authentic and unique way. Panel: What’s the role of the store in today’s ever-evolving market? How can we create environments where the experiential is just as important as the sale? How do you bring your best digital talent to the physical store? What should the look and feel of the store of the future be? Join us as we explore the changing face of the store and its value going forward. Panel: What defines good customer experience? Improving customer experience is the aim of the game, with seamless journeys across all channels. But, what are we really aiming for, and what’s the benchmark? With stores becoming liabilities, how should we refocus our digital marketing investments? What technology can support this? To find out, we speak to those businesses pushing the boundaries to optimise customer experience. Panel: Digital transformation, but how? Creating a richly defined strategy is an enormous challenge when it might be out of date in three months’ time. Technology’s changing so fast, how do you keep up? How can you create a living, breathing strategy that can evolve and change on a regular basis? VIP Lunch: Turning data to revenue – how do you organise, win with, and gain strategic advantage from data? With data-driven intelligence, organisations can optimise four key pillars crucial to delivering a next-level retail experience— the ability to understand their customers, deliver an intelligent supply chain, empower employees and create a new model that centres around the products and services their customers crave. Join us to discuss how you can transform data into revenue by using customer information to determine better marketing, service and product opportunities. Lunch hosted by Tim Gardner, Retail Week and Microsoft. The final three start-ups to be announced and re-pitch to all judges. We’re in a fourth industrial revolution that is driven by connectivity, mobile and digitisation. How we communicate our brand stories, reach customers and do business is changing at rapid pace. In this session, we will explore how a curious and agile approach to social media can open exciting new ways for brands to communicate with their customers, remove friction and foster authentic personal connections. Keynote: Are you ready for Gen Alpha? We’re done with Millennial. Gen-Z too – we get it, everything in their world is digital. They never knew anything different. Surely the next generation will be the same? Or will they? Understanding and predicting consumer behaviour is vital, and it’s changing faster than ever before. So, what can we expect from the next generation of spenders – Gen Alpha? Join Carla Buzasi as she shares findings from a new report that will help you better prepare for the next ‘next’ generation of consumers. In the digital world, retailers face the exciting prospect of turning their goldmine of valuable customer data into winning experiences and customer loyalty. Join Ronan Harris, who will discuss bringing a sense of experience, curation and trust back into the retail experience through data maturity. He’ll bring it to life in a conversation with Shell, showing how they revolutionised the organisation in order to achieve better customer experiences and increased profitability. Exclusive interview with the man at the helm of ASOS, one of the leading fashion destinations for 20-somethings globally. 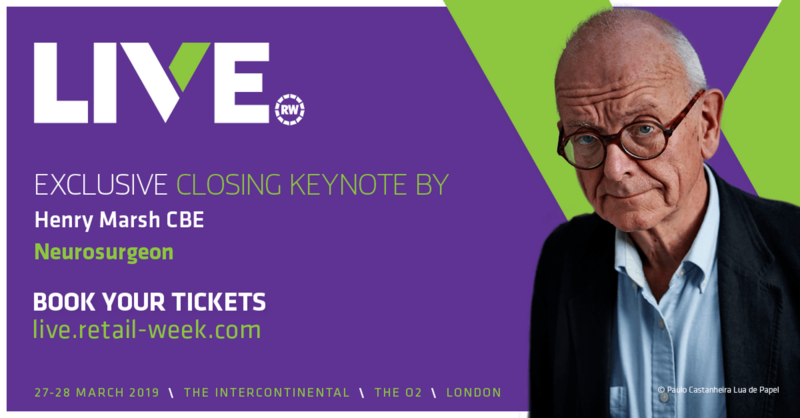 Nick will be interviewed by Retail Week's Managing Director, Chris Brook-Carter.